This country-style Christmas display is perfect for brightening your own home or spoiling somebody special. With carnations, chrysanthemums, alstroemeria, roses, hypericum, and the added festive touch of pinecones, cinnamon, and silver ruscus, this arrangement offers a refreshing change to holiday decor. 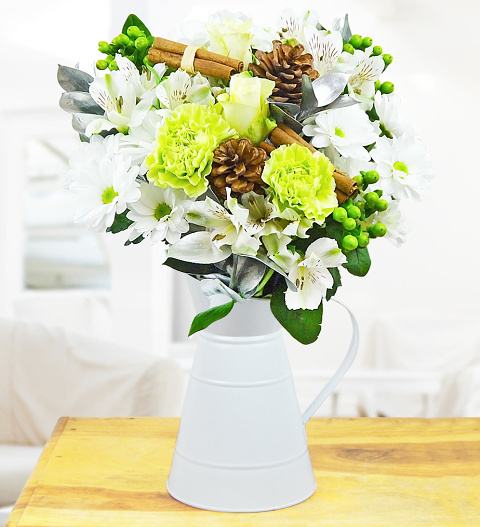 Send these flowers to a loved one this Christmas and let them know you're thinking of them!